Political research and analysis, designing and planning campaigns, training and managing election workers, data mining, digital outreach and helplines for voters, producing campaign videos . Political consulting is a mainstream business in developed countries such as the United States. Selling expertise at influencing voters through social media has become an industry in itself, albeit with its share of dodgy operators. The recent furore over the harvesting of Facebook users’ private data in the US and UK by Cambridge Analytica was a wake-up call. With tens of millions of Indians now logged in to WhatsApp, Twitter, YouTube and Facebook, political parties and candidates are now looking for more effective ways to target their messages. Vivek Singh Bagri of Lead Tech and consulting staff are active in the recent polls in Karnataka state. Photos: Narendra Kaushik. “In the next 10 years, consultancies and marketing research companies will completely replace the party workers on the ground. 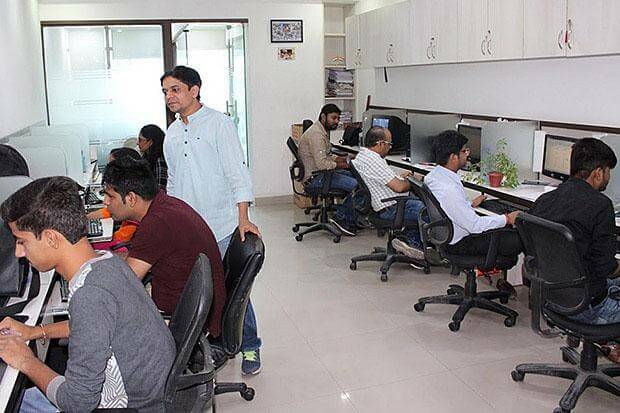 Party workers won’t labour at reaching the voters the way they did some years back,” said Vivek Singh Bagri, a graduate of Indian Institute of Technology Bombay who has run LeadTech from Gurgaon for 10 years. His company provides statistical research, expertise and consulting in the political domain. Mr Bagri says parties have been jumping on the tech bandwagon where they see they can gain an edge over rivals. “Parties now use drones to gauge the appeal of their speeches in public rallies. They are even using artificial intelligence,” he said. How do these non-partisan experts regard politics in India? It differs from individual to individual. Mr Bagri is impressed by the hard work that legislators and candidates put in. “They work from 8am to 11pm. No corporate entity can match them in hard work,” he said, adding that he plans to enter politics eventually. What do political consultancies do? Voter outreach programmes, pre-poll surveys, tracking voters’ behaviour based on caste, religious and other factors, door-to-door campaigning, designing digital programmes, maximising candidate visibility through live-streaming of speeches on LED screens and video inboxes. Consultancies work at the micro as well as macro levels. Where do they get their data? Primary research (based on door-to-door and sample surveys), booth-level reports from the election commission, household data from census reports.